I've been researching here and on google regarding potential battery technologies for a toy that I want to make for my kids. I was hoping to get others' perspectives on this, keeping in mind that this is for a child. volatility: can the cell explode if mistreated, i.e. charged too long, toy thrown around, etc. lifespan: does my son have to keep an eye on the toy to make sure it's always charged? size: can I even fit the cell in the toy? volatility: LiPo sure sounds like you have to be more careful. There are battery packs that have overvoltage and undervoltage protection circuitry built-in, but I would like to see if I can find an off-board circuit that can be built for less money since that's NRE and cells might need to be changed. Battery management ICs like the MCP73831 should help, as well as a fuel gauge like the MAX17043. Not sure if there's anything else I can do. NiMH has similar ICs available, like the DS2715 for charging and the BQ2014NS-D120 fuel gauge. Either technology would probably benefit from a temperature sensor / cutoff of some kind. LiPo looks like it does not like shock, so having the toy thrown onto the pavement might not be a good thing. lifespan: LiPo shouldn't be allowed to discharge below a threshold voltage. Neither should NiMH. Need to check if fuel gauge can cut off toy's circuit if below threshold. size: LiPo has the huge advantage here. At 3.7V per cell, I only need a 1S LiPo, and they come in all kinds of (small) sizes. NiMH will likely require 3 1/3-AAA cells, which I should still be able to fit. I'd love to hear what others have to say about these points. Did I miss anything really critical, and just as importantly, did I post any bad information about these two battery types? EDIT -- I have added LiFePO4 as suggested by Russell and AndreKr. I don't necessarily trust myself to design a proper circuit that is bulletproof, so I am looking at the MCP73123 since its current limitations are within the range of the single cell that I want to charge. I saw the Tenergy cells previously, but wasn't sure about them and ended up ordering a few of these from a shop in the US: http://www.batteryspace.com/LiFePO4-Rechargeable-14430-Cell-3.2V-400-mAh-0.4A-Rate-1.28Wh.aspx. I really like how they can be ordered with tabs attached, which is what I did. So right now I have a LiPo protected cell and MCP73831-based charger coming from Sparkfun so I can play with it, as well as the Powerizer LiFePO4 cell and a sample of the MCP73123 which I'll somehow try to breadboard to test its charging capability. I'm going to look around, but if anyone knows of good app notes to make a PIC-based LiFePO4 charger that explains constant-current source circuits, I'm all ears! Thank you for your input. LiPo is MUCH easier to manage well than NimH. Energy densities for top capacity NimH are about the same as LiPo nowadays. The ONLY reason I would think of using NimH in your context is safety - and if it was my son I'd consider I could make LiPo safe enough for him to use. LiPo can "melt down" very enthusiastically with flame BUT it is extremely rare in practice and taking quite usual precautions should allow a safe result. I would have no personal concerns over LiPo safety in a competently engineered system. HOWEVER NEVER use unprotected LiPo cells if you care about safety. The in-battery protection IC DO NOT serve the same roles as the charger ICs do. The in-battery ones are just to stop people doing stupidly dangerous things to the battery. That said, IF your charger is properly implemented and if there is no chance of short or foreigh potential thenmost of the protection circuitry is not needed. I say "most" as, if there is eg a catastrophic equipment failure and eg a short circuit occurs, the in cell circuitry will usually open circuit the cell and prevent a fire. 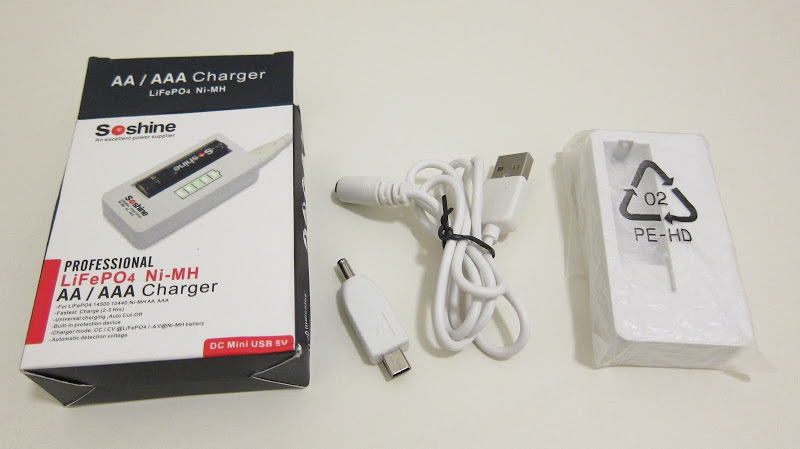 Using the proper charger ICs should allow a very safe and reliable charger to be implemented. You do not need gas gauging per se - just low voltage cutout. If you can stop operation at say 3V / cell that should be enough. I was going to come back and mention LiFePO4 - AndreKr beat me to it. Compared to LiPo, LiFePO4 (Lithium Ferro Phosphate) are safer, longer life and have lower energy density. You can but RCR123A LiFePO4 batteries with 450 mAh x 3.2V capacity. (Some claim up to about 700 mAh but are suspect.) Tenergy LiFePO4 RC123A are widely advertsied on ebay and should be good. Tenergy are AFAIK a "rebadger" BUT seem to sell good product. LiFePO4 MUST be charged properly but area easy as LiPo to manage. A very simple charger can be built - constant current regulator followed by 3.6V constant voltage regulator. Charges at constant current until Vlimit is reached then at constant V. Setting to 3.5V is better. Do NOT use Lithium Ion RC123 (3.6V nominal). Do not use 3.0V Lithium Primary RC123. The terms RC123, RC123A, RCR123, RCR123A etc are used somewhat interchangebaly by sellers. Just be sure of what you are getting. Not the answer you're looking for? Browse other questions tagged batteries battery-charging lipo battery-operated nimh or ask your own question.